May be these tricks can help you save a little money on your antivirus program. I know, you probably can't get rid of the nagging 'buy license key' screen at the near end of your trial expiry and may have to work on your Kaspersky antivirus for 5 minutes at the end of each month but you are getting free antivirus for life!!!! 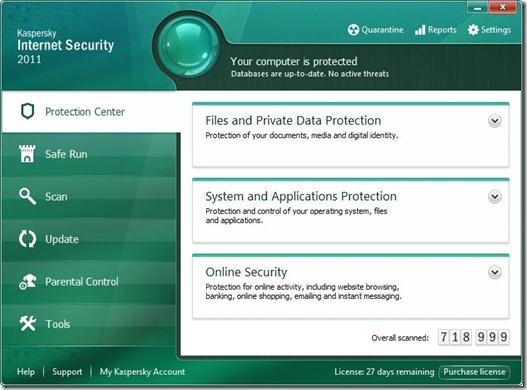 Go to the official Kaspersky website and download the trial version of KIS 2011 (Kaspersky Internet Security). Enter your First Name, Last Name, Email address and click submit. You can either download form the link sent to you by e-mail or from the download button provided to you after you click 'submit' . Run the setup file of KIS 2011 provided to you with your internet connection on and activate using the trial license which is valid for 30 days. Now use it regularly with automatic updates and everything. As soon as your trial version is going to expire say in about 5 days or so, uninstall kaspersky and then disable your internet connection. Type regedit in Run from the Start Menu to open the Registry Editor. Expand HKEY_LOCAL_MACHINE and select the Kaspersky Lab folder. Right Click and Delete it. Under HKEY_LOCAL_MACHINE go to Microsoft folder –> Cryptography folder –> RNG folder. To the Right hand side, if you find a file called “Seed”, delete it. You may not perform this step. It won't make a difference. Again, under HKEY_LOCAL_MACHINE go to Microsoft folder –> System Certificates folder –> SPC folder –> Certificates… Delete this entire "Certificates folder". Now, everything is done. You may now install KIS 2011 again and get another 30 days full featured evaluation pack. Keep on repeating this procedure everytime you need another 30 days extension from buying it!! Enjoy.!! How to update your Kaspersky Offline!!! Guys actually this trick took me a a lot of time to find out and has a 100% success rate. Its super simple. Now offline updates are available. Heres how to do it. Go to the link here [LINK]. This link is related directly to the kaspersky database for all its antivirus/ internet security/ pure versions. Or you may click any of the links below. Create a NEW FOLDER in desktop(anywhere). Extract the '-cumul' marked files first (if your are using KIS/PURE then use av-i386&ids-cumul.zip and if you are using KAV then use av-i386-cumul.zip) into the NEW FOLDER. Open kaspersky and go to My protection>settings>My update center>update source settings>uncheck Kaspersky Lab's Update Servers> click Add+ > Browse to your Created 'New Folder' Location and click OK> now apply the settings>close everything and Run update. again delete the contents of New Folder and extract "daily" zip (if your are using KIS/PURE then use av-i386&ids-daily.zip and if you are using KAV then use av-i386-daily.zip) and update again. The above operation must be done the first time you are updating your offline antivirus. From next time onwards just download the daily/weekly. 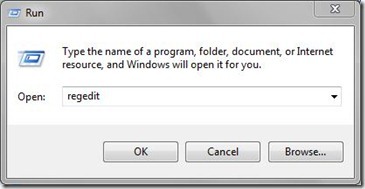 Extract the contents into The NEW FOLDER and run updates manually in your offline computer. Guys I hope it works for you. Worked on my computer just fine. If you have any queries / questions / suggestions just write in my forum. , , , . =). , ! , , , , ... . , . , . . , , : « ! ?» . , . , « » . , , . , , . : (). (, , ), : , alias , , , .«» ; , // (, ); ( , ); () ; , . : , , , . , - , . , « », , . . . -7. ? : (13 16 , ). . , . . , . , , .5. . , , , , . > 8. , . ; , . , , , , . , . PhotoShop. , , . , , , , . . , , , , « ». , . , , , . - . html CSS. Java-. alias . , , : , , . , ( , ). , . . <>] : , , , , , . , . « » , , , . , . , , . , 1-2 , .
. , . , . - , , . , . ? , , , , Microsoft Word. - , , ., ( ) , , . -, . ? #, . - . > 1. : . 24 3. -Avatan . Google . Google . .
, . , , . , , . ? « » , ( , «», ). , , ; , . . CMS alias - . - . , CMS , , . , . , - . , , , , . CMS . , . off-line CMS. off-line on-line CMS. , , . . , on-line CMS, . - . .
, :CMS (Content Management Sistem) , . , . , , . , , , . , . , . , . , . , . , , KPI. , -, , . : . . . ? , , - ( , ) -. - . . , . Good day! I simply would like to offer you a big thumbs up for the excellent information you have got right here on this post. I am returning to your site for more soon. Total, there have been 453010 visitors (1338108 hits) on this page!